Happy New Year to all of you! 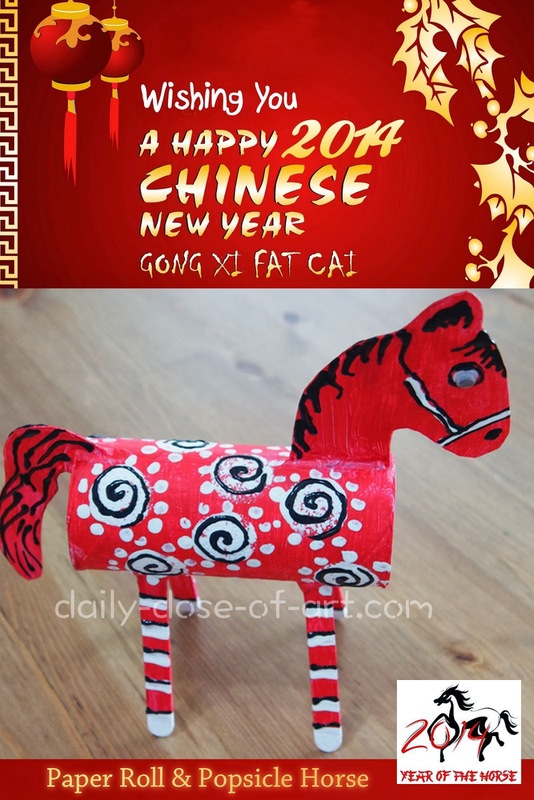 According to Chinese Zodiac, 2014 is Year of the horse. 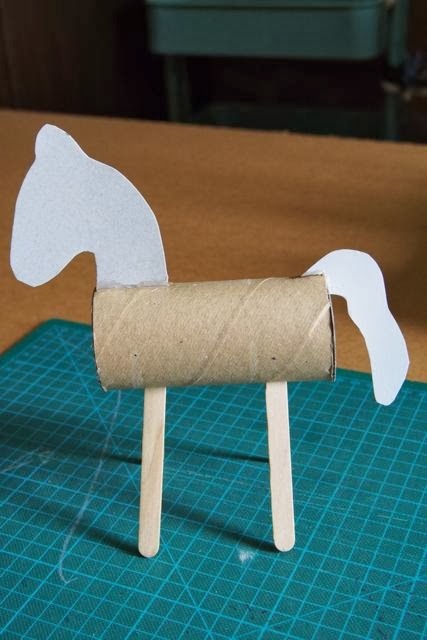 Since I am currently residing in Singapore, a country that is predominantly Chinese, I thought it would be fitting to do a week dedicated to horse-themed crafting. 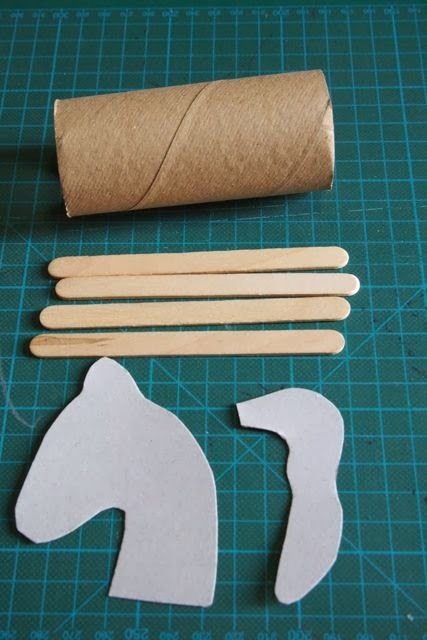 I share with you some of the projects I will be doing in my arts and crafts class for little folks. However, young and old can enjoy these creative adventures. These are great ways to bond with family as we begin the new year. Gong Xi Fa Cai! Gong Hey Fat Choy! 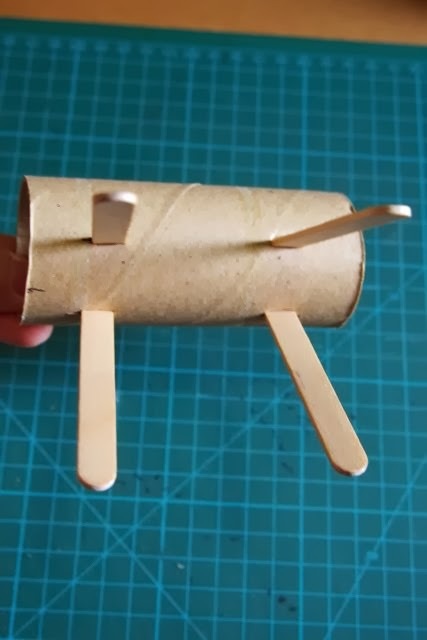 Today, I bring you “Paper Roll & Popsicle Horse”. Horses eat grass in the pasture. Horses eat hay in the barn. so they can work hard on the farm. Horses, horses, horses that run in the pasture. 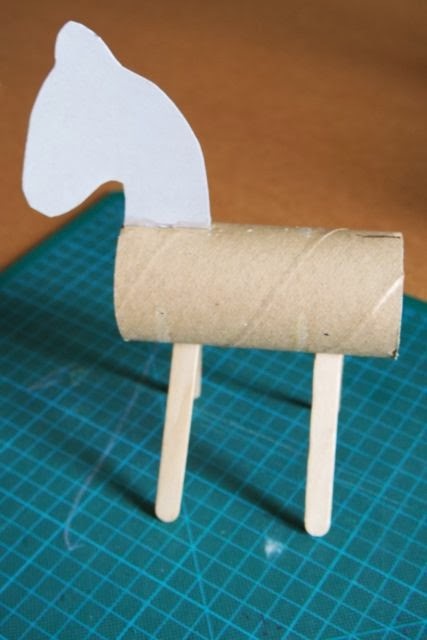 Horses, horses, horses they always say neigh. Sāi Wēng lived on the border and he raised horses for a living. One day he lost a horse and his neighbor felt sorry for him, but Sāi Wēng didn’t care about the horse, because he thought it wasn’t a bad thing to lose a horse. After a while the horse returned with another beautiful horse, and the neighbor congratulated him on his good luck. But Sāi Wēng thought that maybe it wasn’t a good thing to have this new horse. His son liked the new horse a lot and often took it riding. One day his son fell off the horse and broke his leg. Because of his broken leg, he couldn’t go off to the war, as was expected of all the young men in the area. Most of them died. This proverb is said when bad luck turns to good, or when good luck turns to bad. 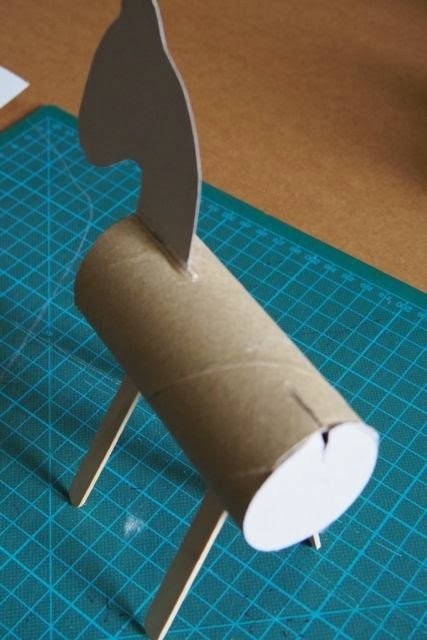 Step 1- Use cardboard to make head and tail of horse. 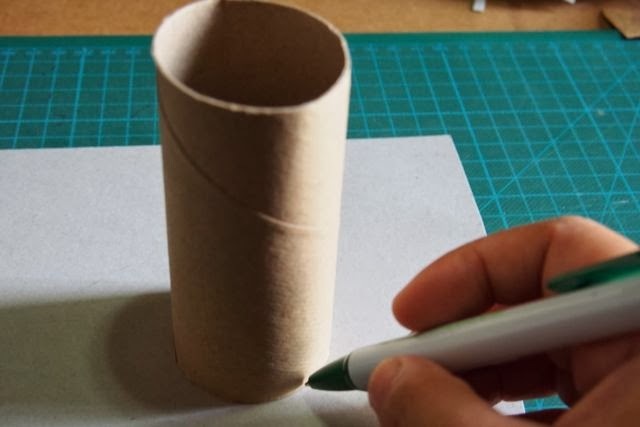 Step 2 – Make covers for the ends of paper roll. 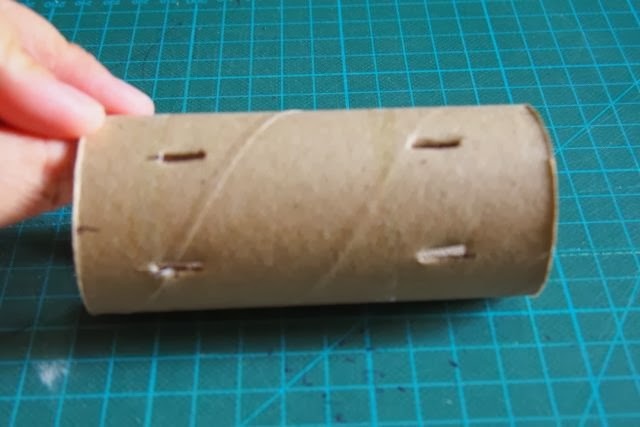 Step 3- Cut slits on roll for head, tail and legs. 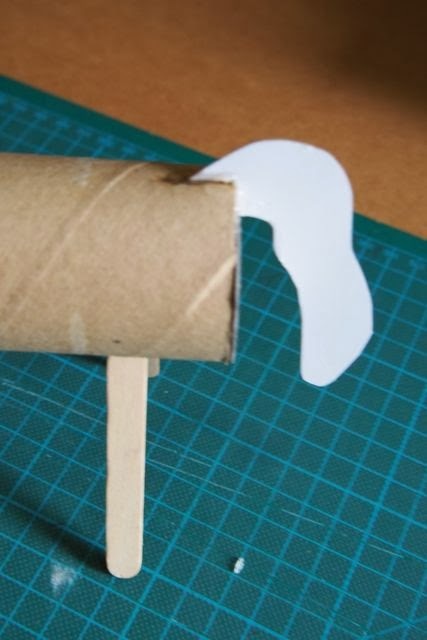 *Check balance before gluing on legs. Step 5- Before gluing on back cover, cut a slit to allow easy insertion of tail. 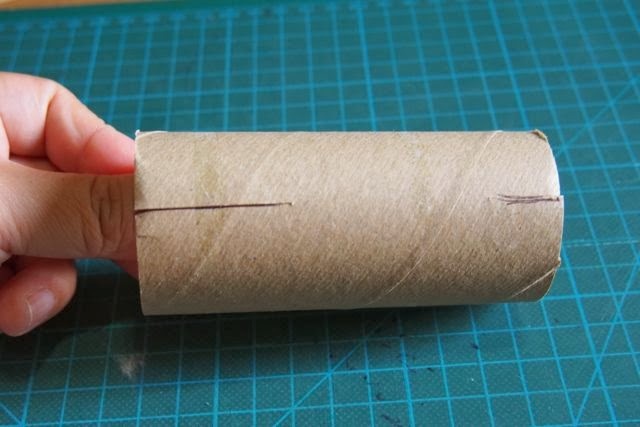 *Insert tail and secure with glue. 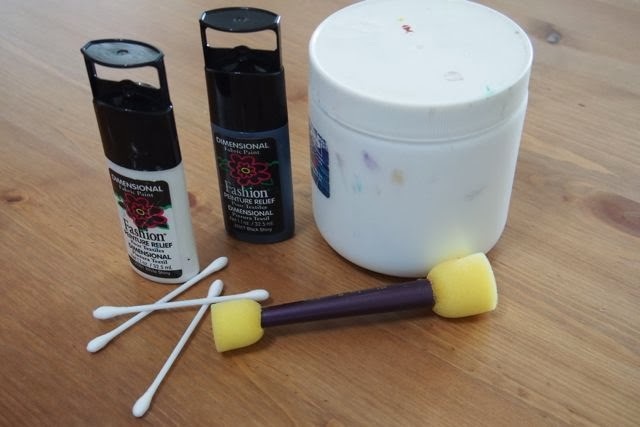 Optional: Apply white base coat. 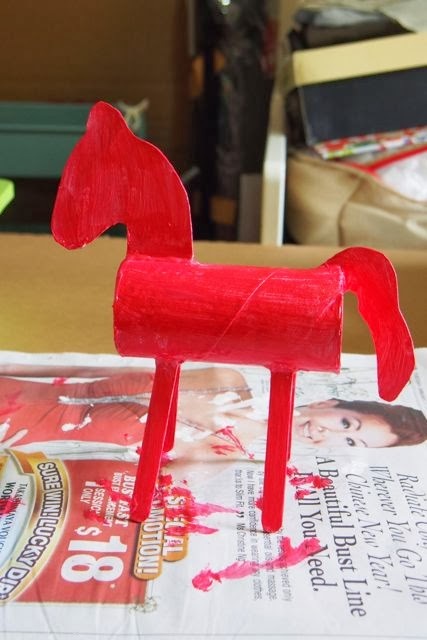 Step 6- Paint your horse in the colour of your choice. 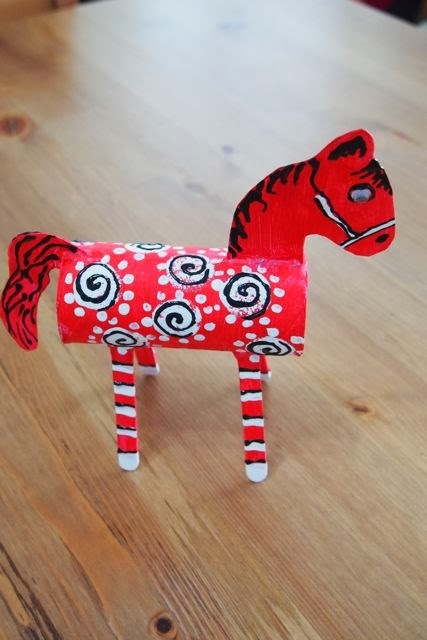 I chose red as it’s the colour of celebration & happiness for the Chinese, and we are featuring Chinese zodiac’s year of the horse- so RED it is! 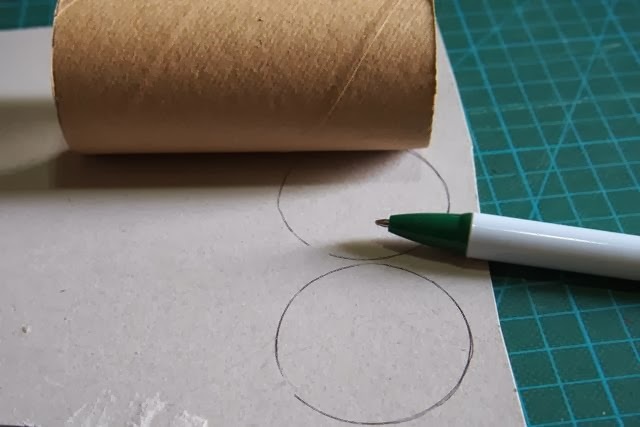 Step 7- Add your unique design details. 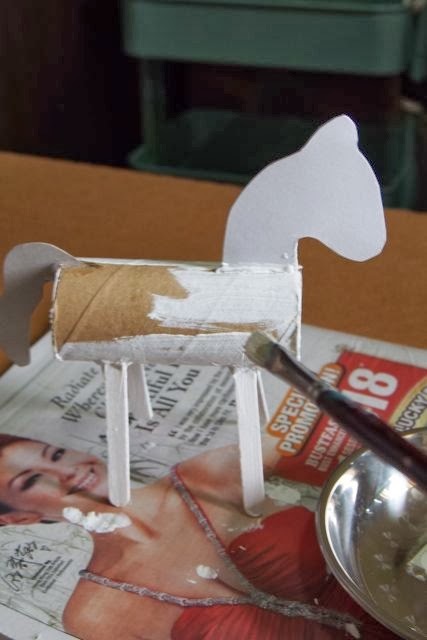 *I used the following to design my horse: sponge tool, Qtips, dimensional paints and white acrylic paint. When we did this in my class for kids- ages 2 to 5, i brought in some wooden stamps (flowers,stars, leaves). May your heart be filled with the warmth of the sun, and may you bloom in whatever you undertake this year! My interpretation: Learn from your mistakes. 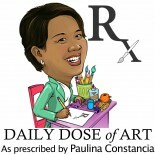 This entry was posted on January 8, 2014 by Paulina Constancia in Bond, Create, Teach and tagged Arts & Crafts, celebrations, family bonding, world cultures.